United Way’s ReadingPals program targets preschoolers on a trajectory of struggling with the basics. 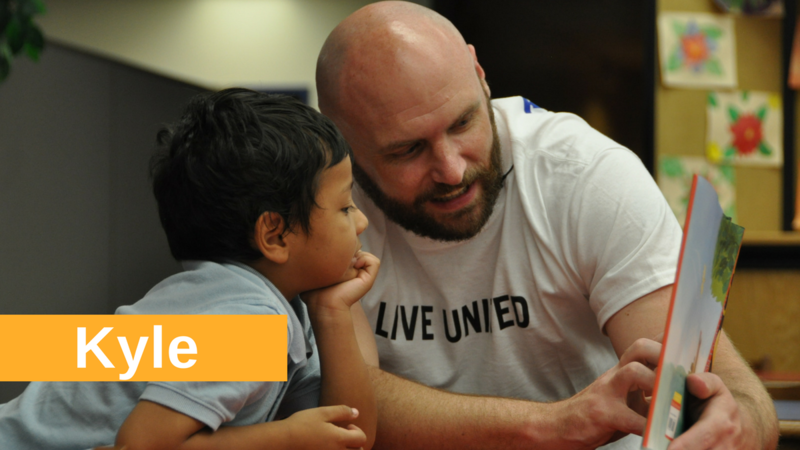 By pairing dedicated volunteers with struggling students, the underperforming VPK students receive the individualized attention they need to practice their reading and comprehension skills that will benefit them the rest of their academic careers. Kyle* was identified as a student in need of intervention and paired with his ReadingPal named Robert. It was slow-going at first. Kyle was non-verbal at school and the same applied for his time with Robert. With his parents being first-generation immigrants, English did not come naturally to him. But Robert’s dedication and patience gave Kyle the opportunity he needed to thrive. Kyle’s end-of-year test scores showed that he had caught up academically to his classmates’ level. And the once silent student now has plenty to say! Are you intersted in volunteering as a ReadingPal? Sign up here!